Although it gets its core identity (and its name) from the "great books" that it quite rightly teaches again and again, Classics survives and thrives by striving to encompass the classical Mediterranean under many aspects and methodologies, so that its faculty all represent other fields of study as well: archaeology, art, philosophy, religion, history, linguistics, comparative literature or theater. Coursework in Classics can involve everything from learning to read ancient tragedies in their original languages (and even performing in them yourself) to studying what archaeobotanical evidence can tell us about climate change on the millennial scale. Discover our Majors and our Minors. 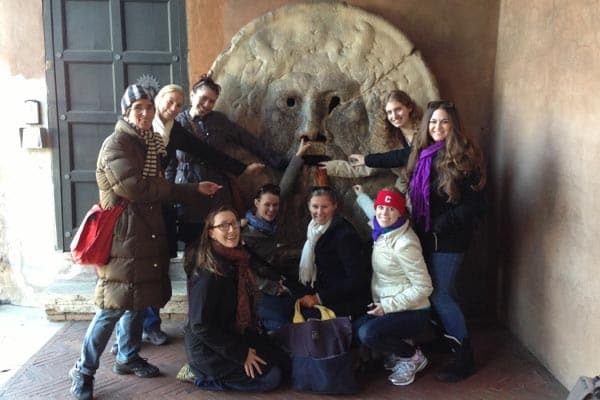 Our doctoral program fully promotes an interdisciplinary approach to the ancient world. We offer all students an opportunity to develop a comprehensive course of study within one of our five concentrations: ancient history, ancient philosophy, classical archaeology and art, classical literature and philology, and Greek and Latin languages and linguistics. We support a strong series of colloquia in which faculty, guest speakers, and graduate students are presented with current work in our field of study. Click here for more. Latin is the key that unlocks Western civilization. Mastering its grammar is CrossFit for your brain, and gives you direct access to the classical foundations of modern life.